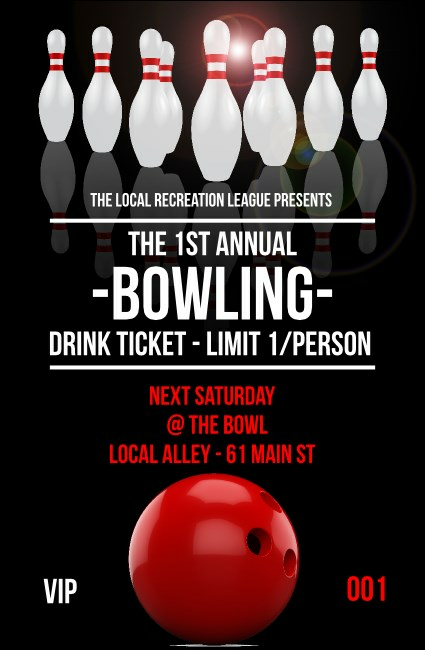 Put your guests in the right frame of mind at your event when you give them Bowling Classic Drink Tickets. These sharp-looking tickets feature ten white pins set up on an all-black background that includes a bright red bowling ball. Keep your event secure with sequential numbering on each ticket. Take the right approach to event planning at TicketPrinting.com.